Along with my new 2013 routines, I'm making sure my skin is hydrated and nourished- even in the shower. 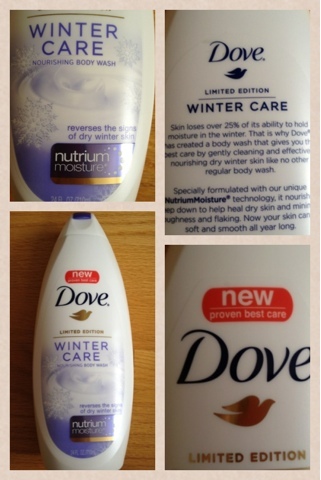 This month I've been using the Dove Winter Care nourishing body wash, infused with its NutriumMoisture technology. Keeping my scaly scary skin at bay, I've noticed my skin feeling softer even with my occasional hot showers. It's good to know my skin is at its best even with all these layers on! Don't have this body wash? Tip: try to use warm water so you don't dry out skin.